On Nov. 29, representatives of the Tartu Division of the Estonian Free Party met with Latvian representatives of the Rail Baltic project in Riga in order to discuss the former’s desire to see the route of the international railway project changed to connect Tallinn with Riga via Tartu, not Pärnu, as currently planned. This proposed change, however, did not find support on the Latvian side. 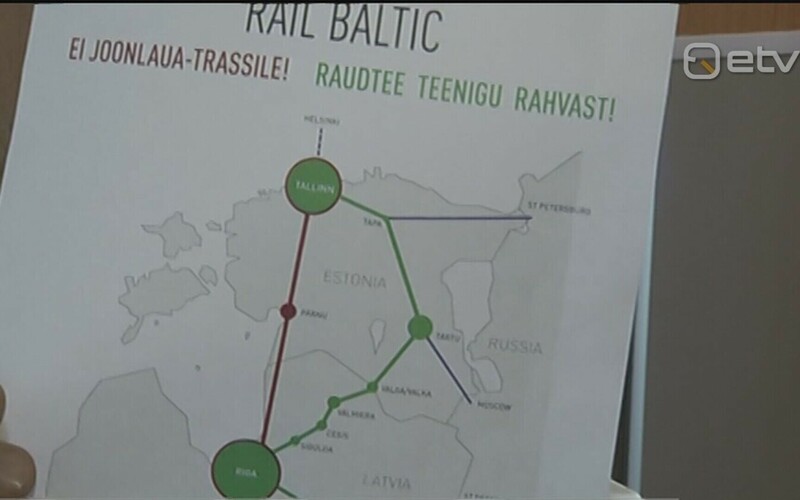 During the meeting on Tuesday, which was attended by a number of Latvian representatives of the rail project, the Latvian side took note of the report prepared by the board of the Free Party’s Tartu Division regarding its wish to change Rail Baltic’s planned route, which would involve changing the railway’s route through part of Latvia as well, according to a press release. The Latvian side in turn introduced the Estonian delegation to the already approved route in Latvia and the reasoning and successful public consultations behind it, stressing that the Latvian route had already been adopted by the Cabinet of Ministers and would not be changed. Latvian representatives cited the detailed research process, environmental impact assessment and public consultations already carried out in Latvia, as well as the conceptual agreement reached during the route planning process that the railway’s route should be as straight as possible in order to maximize benefits at the lowest cost. A 2011 study conducted by AECOM analyzing various potential routes through the three Baltic states confirmed that the shorter and more direct the route, the faster the traffic and more economically advantageous it would be. The Estonian Free Party-suggested alternative, which would bring Rail Baltica to Riga via Tartu, thus crossing the Estonian-Latvian border in the twin border towns of Valga and Valka, had been rejected by the Latvian side as unprofitable, as it would create higher route construction and maintenance costs, among other concerns, as well as create major environmental challenges, as the railway would have to pass through Gauja National Park, a significant part of the Natura 2000 network. The Latvian delegation also cited high public support for the Rail Baltic project in its current form, with the latest survey indicating that 86 percent of the Latvian population supported the project and 76 percent saw the positive impact that the project would have on the Latvian economy, as well as the official positions of the three Latvian municipalities which the proposed changed route would cross on Latvian territory, Sigulda, Cēsis and Valmiera, none of which expressed their support for that initiative. Based on the aforementioned factors as well as careful assessment of alternative routes through Latvia, the Latvian government approved the Rail Baltic project’s Latvian route in August already: the international railway is to cross the Estonian-Latvian border into Salacgrīva Municipality, five kilometers east of Ainaži, while the Latvian-Lithuanian border will be crossed near Grenctāle in Bauska Municipality. In Latvia, national research work has already been completed and the first round of Rail Baltic project implementation launched in accordance with the financing agreement already signed by the European Commission.